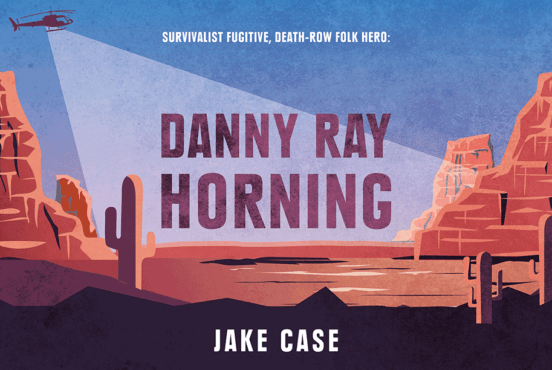 Flagstaff is an excellent destination for humans and dogs alike, but finding the right place to stay — even months in advance — can be a chore. Fortunately for you, we’ve done the legwork and picked out a fine selection of pet-friendly cabins in the Flagstaff area. Flagstaff is pet-friendly and has lots of options for activities do with dogs. Take the self-guided Flagstaff Public Art Tour and get some exercise with your dog at the same time. Flagstaff’s home to eight local breweries, and pets are welcome either indoors or outdoors at every one. 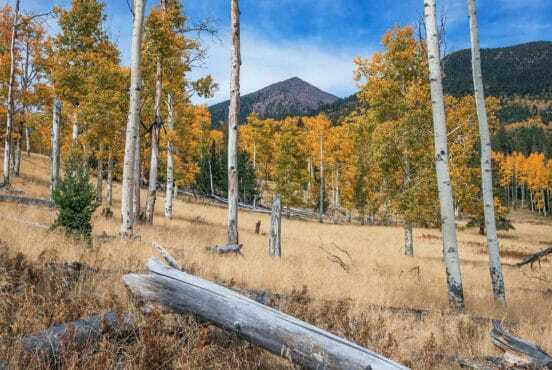 Or you can explore one of the many hikes surrounding Flagstaff. There are even two off-leash dog parks in the city. Whatever activities you choose to enjoy, play hard with your pet — because you know you can look forward to crashing in one of these cozy cabins each night when you’re all played out. A-Frame cabins have a special kind of charm, and this one has a loft and plenty of land to boot. 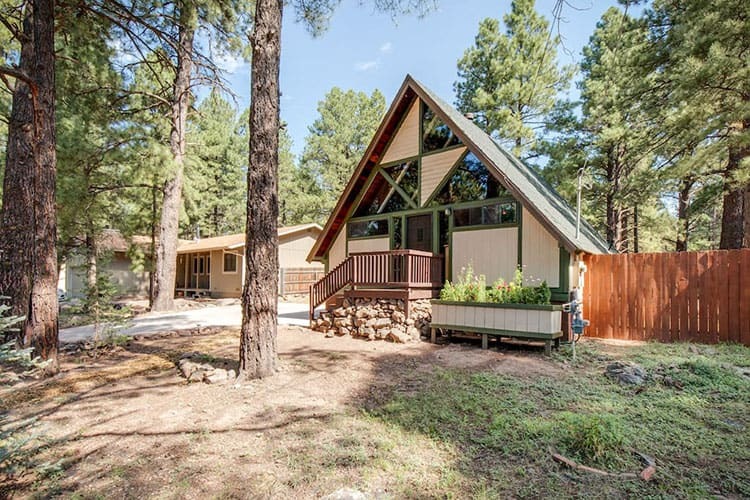 Located on 1.5 acres adjacent to the Coconino National Forest, this 755 square foot cabin sleeps four people and, of course, your dogs — no cats allowed, however. Although small, this charming cabin is famous and highly sought after: not only was it featured in an American Eagle Outfitters campaign, but it’s also been featured in Travel + Leisure, Food and Wine, and People magazine as Arizona’s most wished-for property on Airbnb last year. While located in a quiet, rural area in the forest, you’ll only be a 15 minute drive from the activity of downtown Flag. The cabin has recycled sustainable building materials and three decks. There are a few things to note — the cabin has no air conditioning; no TV; no Internet; and there is a quiet time between 9 PM and 7 AM. The cabin does have cell service, a DVD player, and an Xbox. Make sure your dog is house trained, doesn’t get on the furniture, and doesn’t stay in the cabin alone. 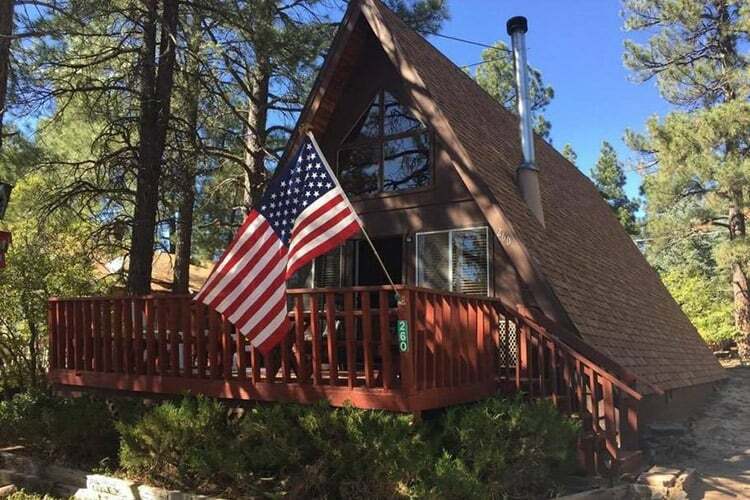 Located just south of Flagstaff, this moderately priced cabin is dog friendly — you’ll find pet beds, a water bowl, and treats in the cabin — but does not allow any pets besides dogs. There is a $50 additional fee for the first dog, and if you have multiple dogs, $25 for each additional canine. If your dog weighs over 100 pounds, the owner asks that you send more information about your dog. Other features of the cabin: a hammock and fire ring in the backyard, deliciously comfortable mattresses topped with feather down comforters, and a large front and rear patio. Each set of guests receives coffee and fresh baked goods. 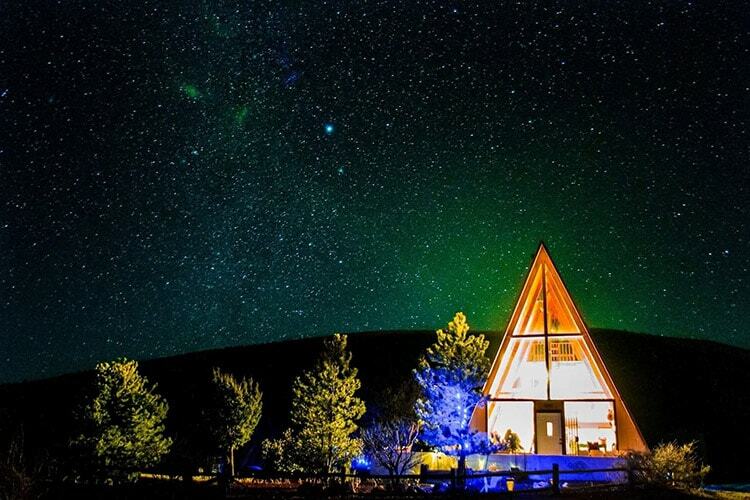 At $383 per night, this cabin is a little more expensive, but worth the money. It sleeps 12 people in its four bedrooms — making it a great choice for a small family reunion — and is located in a prime location with views of the San Francisco Peaks. Inside, the cabin’s aesthetic is defined by majestic 25 foot vaulted ceilings, floor to ceiling windows to take in the view, a pool table, and three fireplaces. Dogs are welcome as long as they don’t get on the furniture, and they can enjoy the 5,000 square foot fully-fenced dog run outside. What’s more, this cabin even lets you bring horses if that’s your thing. 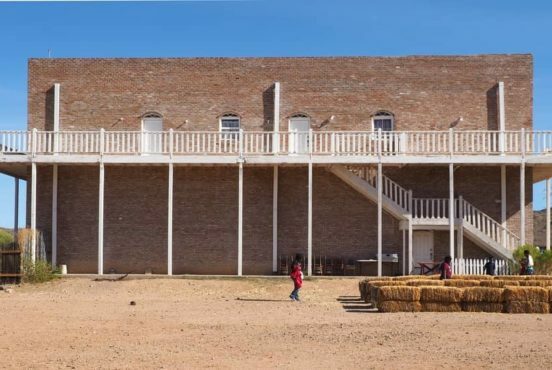 The property includes a barn, stables, and space for grazing. 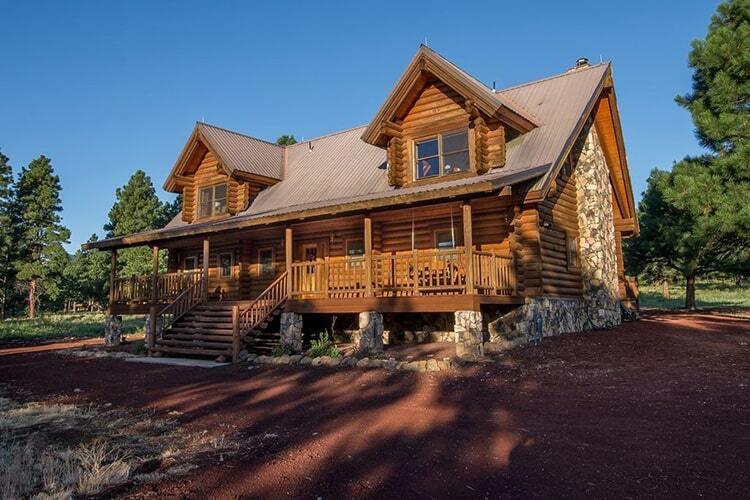 This unique cabin sits on five acres of land and sits just three miles from downtown Flagstaff. At 3,000 square feet, the cabin can sleep 13 people — for an additional fee and full occupancy rate per night, you can host a small wedding here. The cabin has a huge deck with beautiful views. You can also enjoy a game room and a big fire pit. 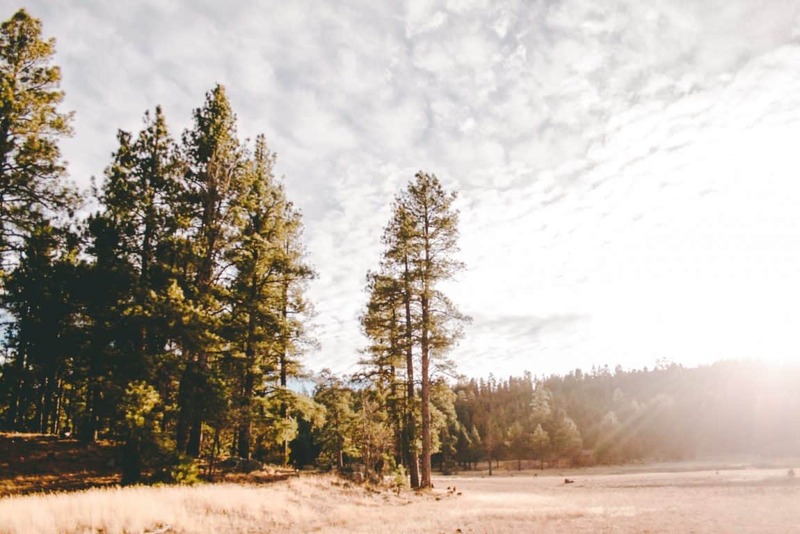 Best of all, you’re close to the Grand Canyon, Sedona, and Flagstaff — and, your furry friends are welcome to join you. 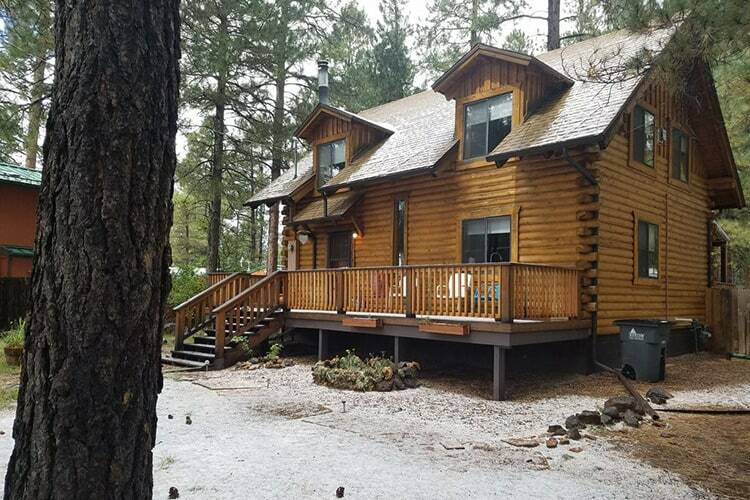 Just a mile southeast of town, Arizona Mountain Inn and Cabins offers comfortable B&B suites, and surrounding it, you’ll find 17 fully-furnished cabins. 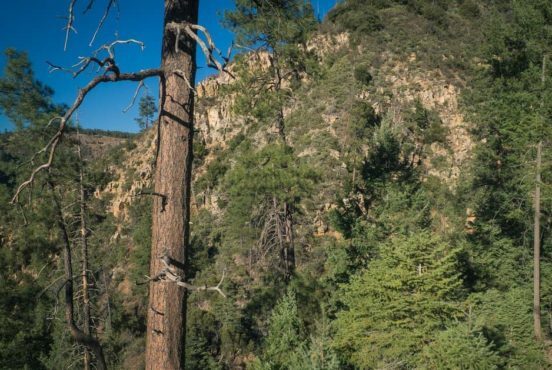 The whole property stretches over 13 acres filled with ponderosa pines and bordered by the Coconino National Forest — you also get amazing views of the San Francisco Peaks. Choose to stay in one of the small and cozy A-frame cabins, or in a larger accommodation if you have a big group traveling together. Wherever on the property you stay, though, your pets are welcome to come with you. With space for 10 guests and a two-night minimum stay, this charming little cabin is perfect for you and your pet(s). Outside, you’ll find more than enough parking, a gas grill, a charcoal grill, a fire pit, and outdoor seating. Inside, enjoy a well-stocked kitchen, Wi-Fi, and a washer and dryer. The cabin has four bedrooms and three full bathrooms. Reviews report the cabin’s owner being hospitable and friendly. With a prime location in Flagstaff, enjoy the Arizona Snowbowl ski resort to the north and the Flagstaff Pulliam Airport just eight miles away. 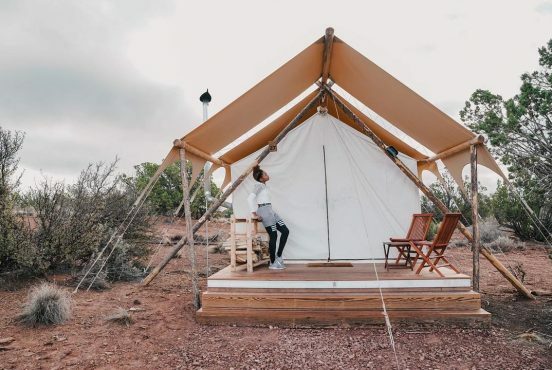 This A-frame cabin is located on 100 acres just between Sunset Crater Volcano and Wupatki National Monuments — 75 miles away from the Grand Canyon, 45 minutes away from downtown Flagstaff. 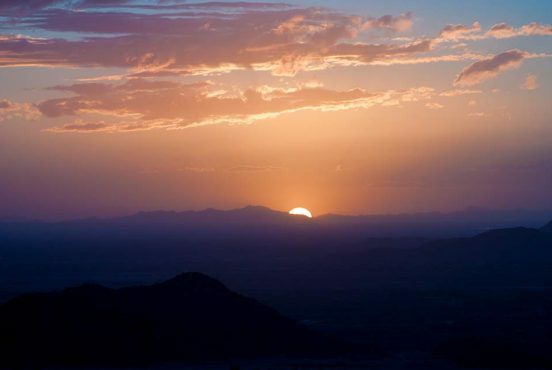 You’ll find hiking trails right out the back door as the cabin borders National Forest land, and you’ll have beautiful views of Roden Crater, the Hopi Mesas, and the Navajo Reservation. This is an off-the-grid cabin, so you won’t have cell service, Wi-fi, or television — the entire cabin is solar powered. The first floor of the cabin has a kitchen, bathroom, and living area; the second floor has the master bedroom and loft; and the third floor (only accessible by ladder) has a set of bunk beds. The sunrise, sunset, falling stars, full moons, and Milky Way are the biggest selling points of this cabin. 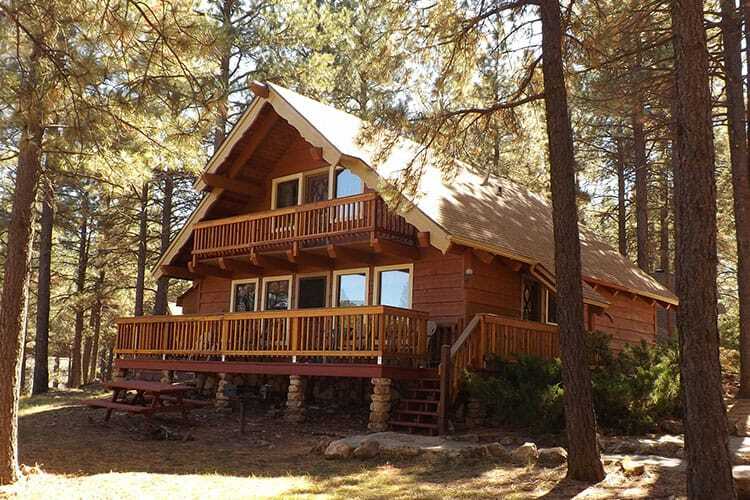 This A-frame cabin (south of Flagstaff) is perfect for families. It sleeps six people in two bedrooms and is situated on a small circular drive in Munds Park that has virtually no traffic, giving you a quiet and peaceful vacation experience. 100% of recent guests have given this cabin a 5-star rating because it’s clean, enjoyable, and well-maintained. It even includes board games, four snow sleds, and a Nintendo NES system by the TV. Calm and peaceful, this cabin feels a lot like a ski lodge thanks to the big fireplace and vaulted wood ceilings. It’s big: it can hold 10 guests thanks to the two family rooms, two dining tables, and four bedrooms. 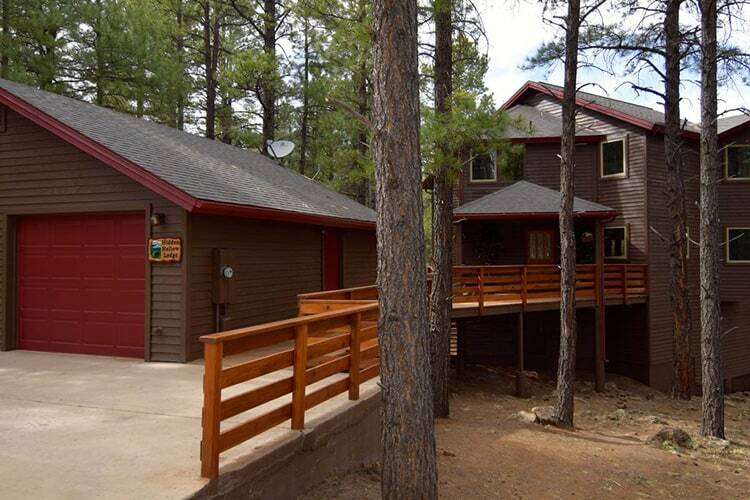 The cabin has beautiful forest scenery and feels private, but is still very close to popular Flagstaff attractions. The cabin is all on one level. Outside, enjoy a barbecue grill, fire pit, and the neighborhood access to hiking trails. Inside, you’re provided with Internet, a washer and dryer, and more. Pets are allowed with conditions: bring one small or medium-sized dog that does not get on the furniture or any bedding. 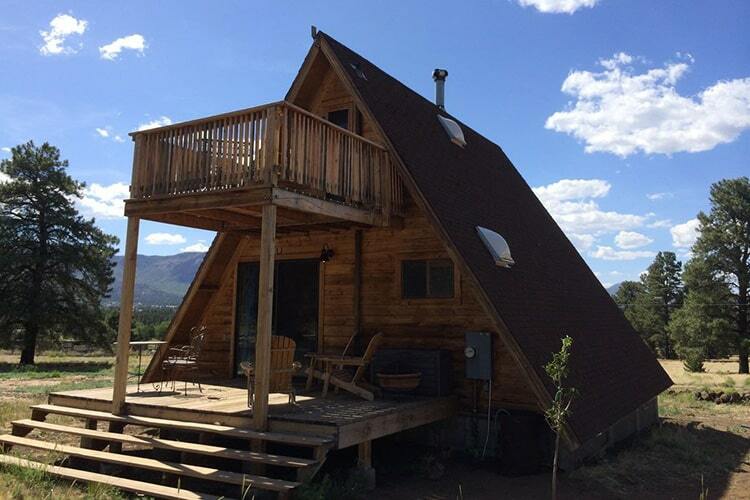 In this spacious A-frame cabin, you can bring up to two well-trained dogs for a $50 pet fee. Don’t let your dogs get on the furniture; they’ll have plenty of space, however, to run around in the backyard. On the human side of things, this cabin holds six people. The living area has leather seating, a Wii, and big windows that provide lots of natural lighting, plus the kitchen is spacious and holds basic supplies as well as offering bar seating. 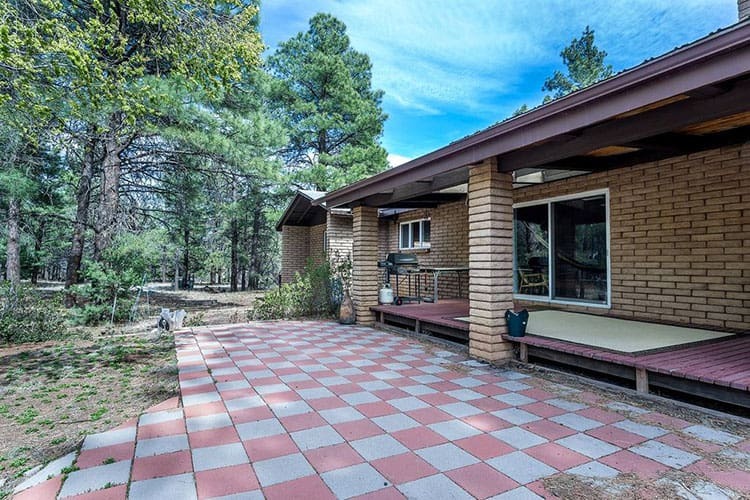 Located in the small community of Kachina Village — which has a gas station, Dollar General, playground, ball field, hiking trails, and more — it’s a just a 5 minute drive to reach town. 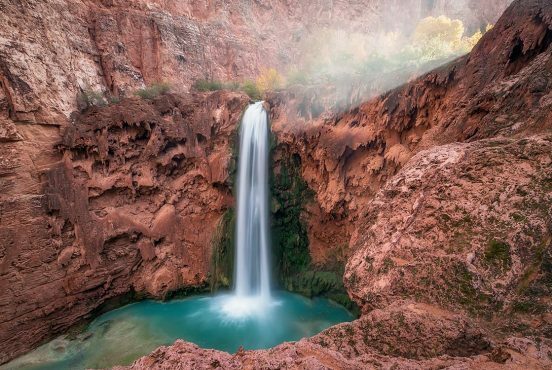 Looking for more Arizona travel ideas? 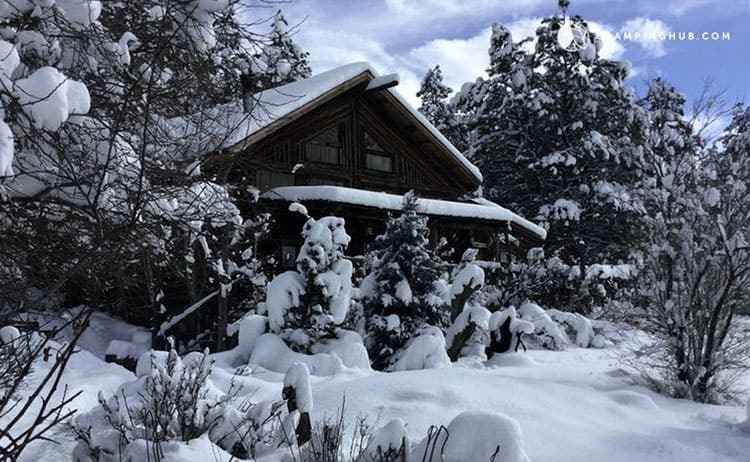 Check our dog-friendly cabins throughout the state, our favorite unique Airbnbs, or relaxing cabin rentals in Williams.